Peru, is known for it’s: Incas, Amazon, Nasca, Moche, Chavin, Huaraz and Chachapoyas are only the top of all the highlights this unique South American country has to offer. Peru borders Ecuador and Colombia to the north, Brazil to the east, Bolivia to the southeast, Chile to the south and the Pacific Ocean to the west. The Andean Mountains run parallel to the Pacific Ocean; they define the three regions traditionally used to describe the country geographically. The costa (coast), to the west, is a narrow plain, largely arid except for valleys created by seasonal rivers. The sierra (highlands) is the region of the Andes; it includes the Altiplano plateau as well as the highest peak of the country, the 6,768 m (22,205 ft) Huascarán. The third region is the selva (jungle), a wide expanse of flat terrain covered by the Amazon rainforest that extends east. Almost 60% of the country’s area is located within this region. Climate varies according to the area. On the coast, winter lasts from June to September. During this period, the mountainous areas are often sunny during the day but cold at night. Peruvian culture is primarily rooted in indigenous and Spanish traditions, though it has also been influenced by various African, Asian, and European ethnic groups. Peruvian artistic traditions date back to the elaborate pottery, textiles, jewelry, and sculpture of Pre-Inca cultures. The Incas maintained these crafts and made architectural achievements including the construction of Machu Picchu. Check out out special selection of standard tours in Peru. 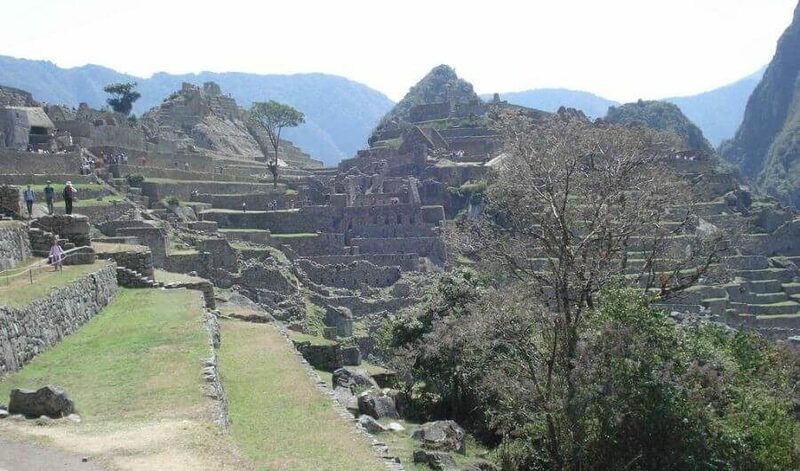 If you want to know if there are still places available on the famous 4-Days Inca Trail, or to climb the Huayna Picchu Mountain, you can have a look on this official website: www.machupicchu.gob.pe –> click the link “consultas” then –> “camino inka” and select a month to see availability.